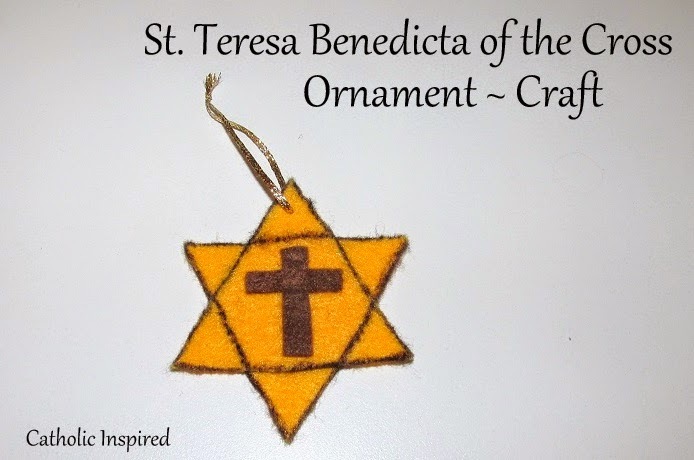 St. Teresa Benedicta of the Cross was born Jewish (Edith Stein). She converted to Catholicism and was baptized at the age of 31. She later became a Carmelie nun. Only a few years later she was taken to Auschwitzgas by the Nazis and killed in a gas chamber on Aug. 9th 1942. She is celebrated on Aug. 9 (new calendar) - the anniversary of her death and entrance into heaven. Read more HERE and HERE. Because of her Jewish background, Elizabeth and I made a Star of David and added a cross to the center. We made 2 identical yellow triangles and over-lapped them to make the star. We outlined them with a black sharpie marker. 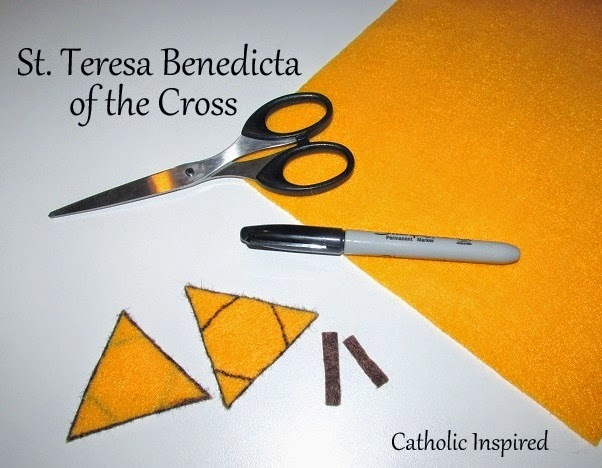 Then we used two small brown felt strips to make a cross in the center of the star. Using this for our Little Flowers craft - thanks!